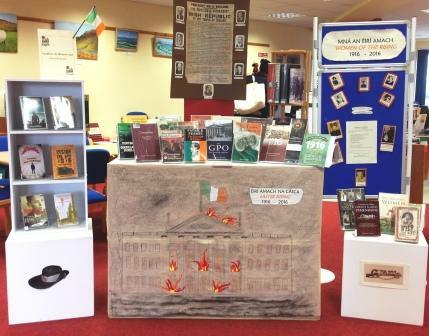 Ballybane Library is currently hosting an exhibition of books and articles for both adults and children relating to the 1916 Rising. Of particular interest are accounts of local women’s involvement. The exhibition will run until May 12th.